An abstracted sunset mural by Erik Otto of San Francisco. Perfect for the land of the endless summer. 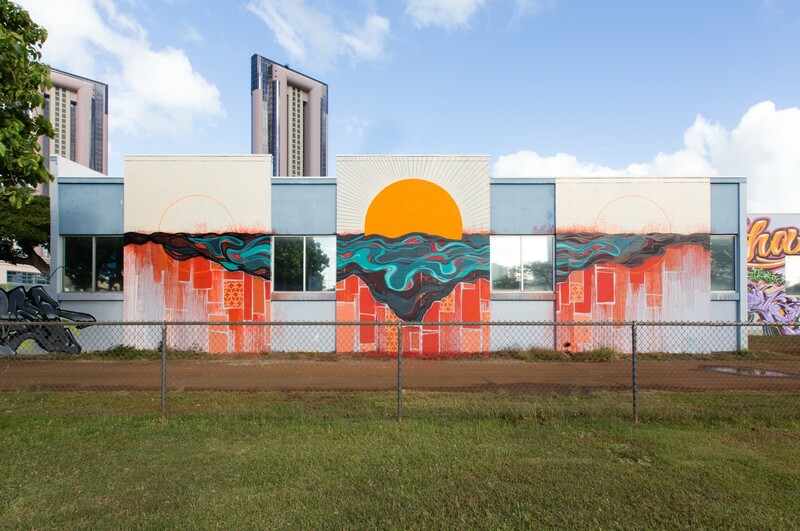 This mural is located on the Friends of the Library building at Pohukaina street.